- "The physicians at Village Pediatrics are an intelligent group, loved by their patients, and speaking as a pediatric specialist, very easy to work with. I would take my own children to them, and actually, I do!" - "I am the mother of 5 and have been coming to Village Pediatrics for over 9 years. The physicians are very knowledgeable and compassionate and really know their patients. The staff always greets my children and I with a smile and are always very helpful. They are very accommodating with same day sick appointments and there is very little wait time." - "Village Pediatrics is truly a phenomenal practice! It is a great place for children to be treated and parents to be comforted! I have 3 children and 10 years of experience with all the doctors in this practice. The doctors are knowledgeable, thorough, caring, kind, warm and have developed a nice rapport with all my children! Dr. Lieberman, Dr. Dougherty and Dr. O'Keefe are truly intelligent doctors with a wonderful bedside manner! It's a pleasure to call the office and be provided with an appointment at my convenience! The office staff is extremely pleasant and friendly!" - "We have been coming to Village Pediatrics since 2003 and we would recommend the practice to anyone. There is always a doctor on call, available to take any question or handle any emergency, at any time of day. We like that each doctor comes to the table with a a different perspective and each has their own strengths, but all confer if necessary. 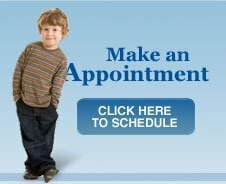 If a child is ill, you don't have to wait long for an appointment. When we enter the office, we always receive a warm welcome. The entire staff is always friendly and accommodating."